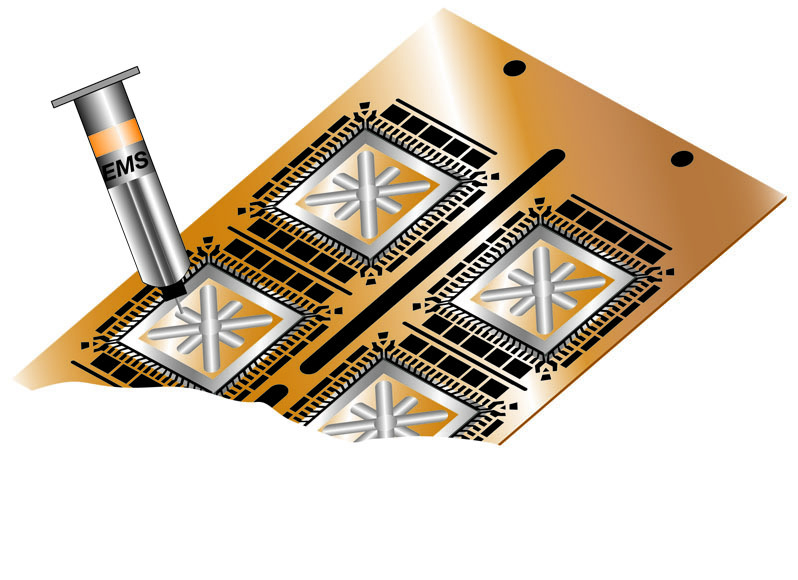 EMS (Engineered Material Systems), a supplier of electronic materials for circuit assembly applications, presents its TM-6520 low temperature cure adhesive. Designed for die attach and general circuit assembly applications, the adhesive is electrically insulating and offers high thermal conductivity. TM-6520 cures in 60 minutes at 70 °C or 20 minutes at 100 °C with a thermal conductivity of 1.7 W/°K. This material is ideal for applications where the components are temperature sensitive and require a high thermally conductive adhesive for heat dissipation. TM-6520 has a 24-hour work-life and a 15,000 cP viscosity at 5 rpm for easy needle dispensing.